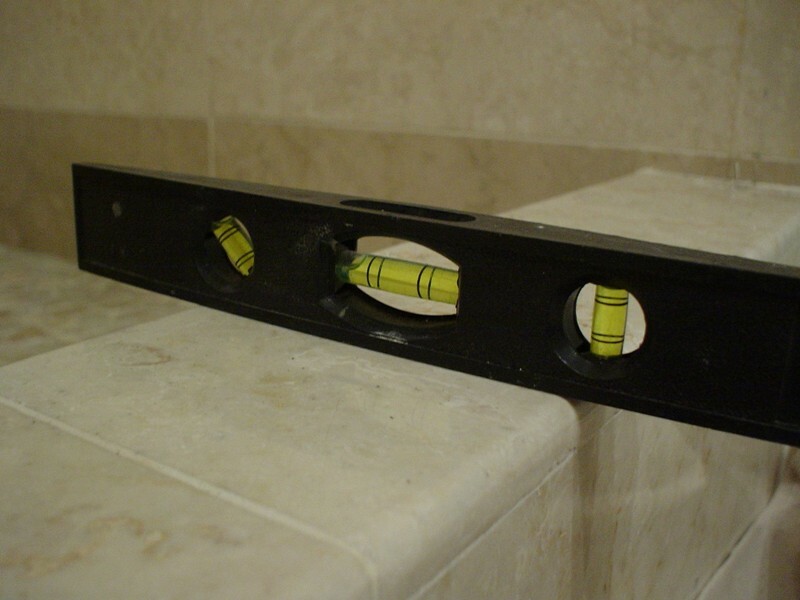 Sometimes shower thresholds are not installed perfectly. 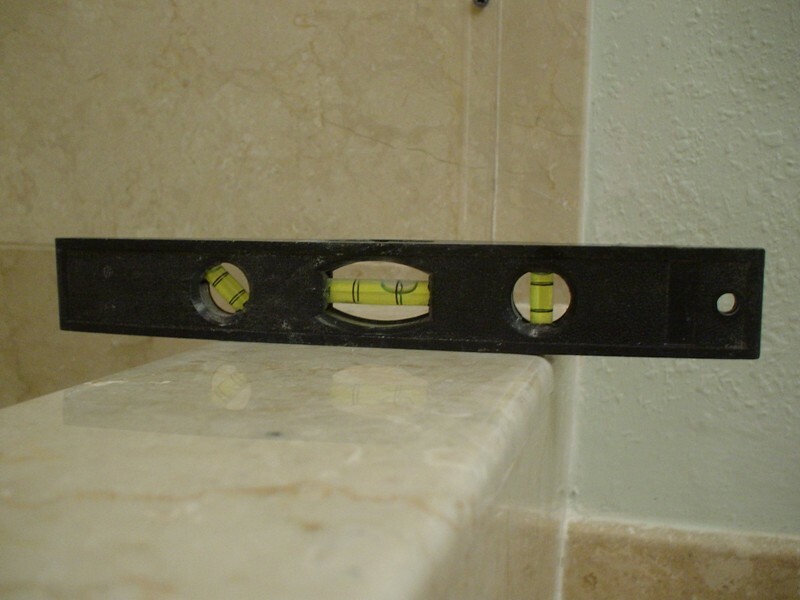 These photos display a marble shower threshold that was angled outwards. Whenever the shower door opened, all the water spilled out. The threshold needed to be re-leveled and polished back to factory finish as if there was never any problem. Look at the bubble in the level.